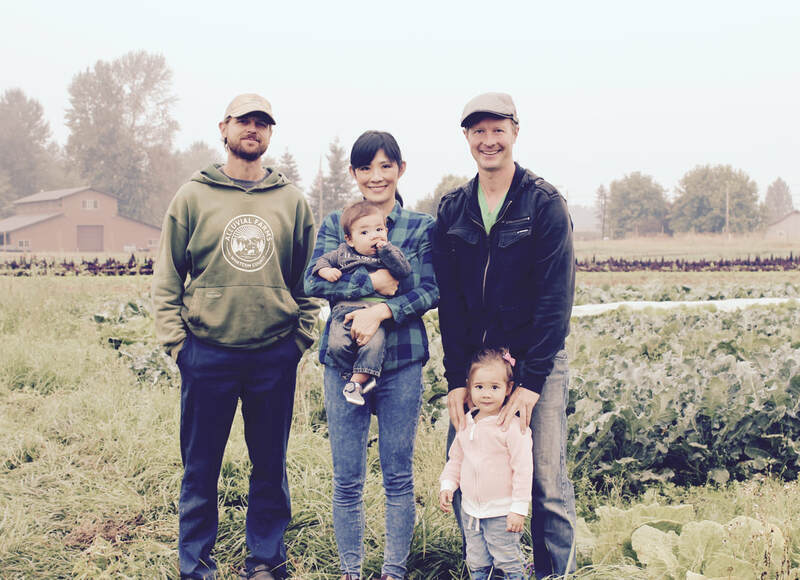 Owners Braeden & Chika Kaemingk with Matthew McDermott (left) of Cloud Mountain Farm in Everson, WA. We are a small family run company that set out in 2015 to share our passion for fermented food with our community. Having lived abroad afforded us the opportunity to travel and introduced us to many cultures, in both senses of the word. Throughout SE Asia we grew a deeper love and appreciation for fermented food. We hope to stir up the same enthusiasm for the foods that abound on grocers shelves abroad, here in the Pacific Northwest. Find us, like us, or just drop us a line. We would love to hear from you. So, why Pangea? Well, Pangea was the name given to the last known supercontinent, but is to us a symbol of a connectedness to other cultures, food and people alike. It is about being more connected to our community, our local farmers, our food and understanding the impact when we do. Whenever we buy locally grown or locally produced products we are helping to build a stronger local economy. When we grow our own produce or check out our local farms we better appreciate the quality and love that goes into the labor. Bacteria and food cultures have been preserved, shared and often coveted. Most countries have a history of fermented foods and almost all of these have maintained some as a staple in their diets. Rich in history and rich in benefits, we aim to explore, to share, and to educate others on the traditions and flavors of fermented food.